Priyanka Chopra and Nick Jonas' wedding venue in Jodhpur is all lit up and their guests have started arriving. Priyanka Chopra and Nick Jonas' wedding venue in Jodhpur is all lit up and their guests have started arriving. 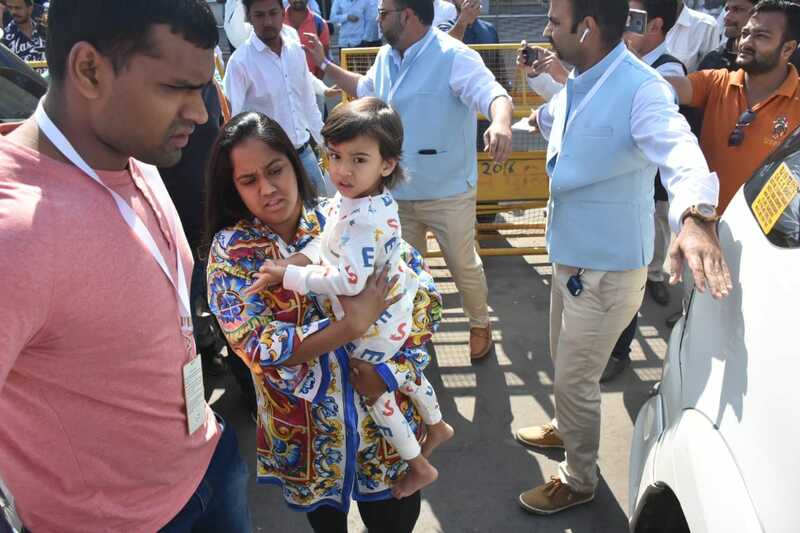 Designer Sabyasachi, Salman Khan's sister Arpita Khan Sharma and her son Ahil, Mukesh Ambani, Nita Ambani and their daughter Isha were among the first guests to reach Jodhpur for the most-awaited wedding of the year. 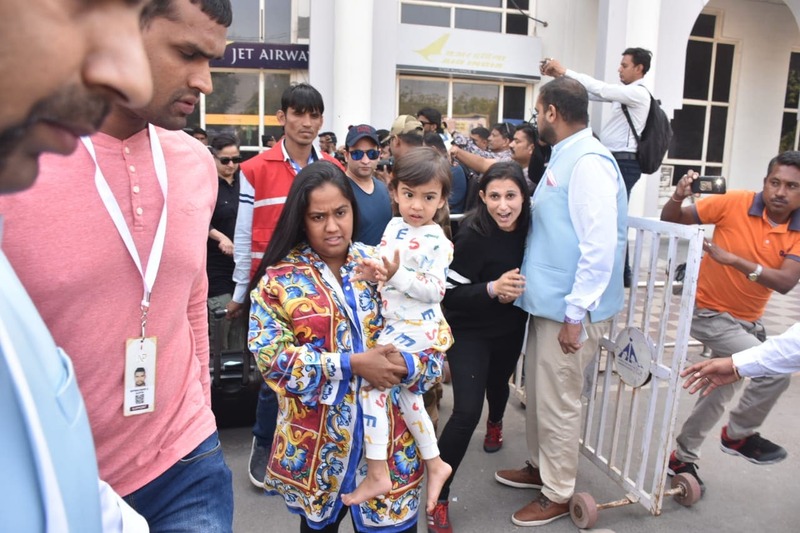 Dressed in a printed jacket, Arpita looked a bit tired as she made her way to the car after checking out of the airport holding Ahil in her arms. 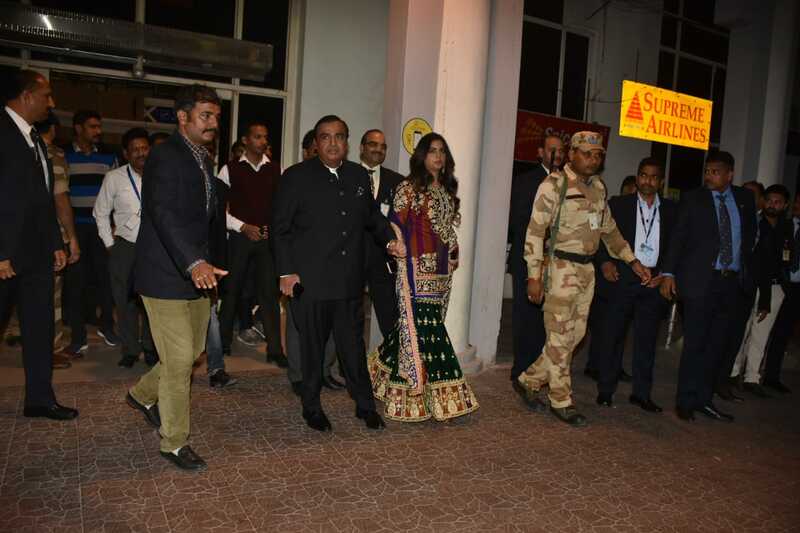 On the other hand, the Ambanis appeared super excited for the wedding as they happily posed for the shutterbugs outside the airport. Going by their outfits, it seemed that they were directly heading for the couple's sangeet ceremony held on Friday evening at the beautiful Umaid Bhawan Palace. While Nita Ambani was seen in a white and pink lehenga, daughter Isha stunned in a multi-coloured sharara. Nickyanka's wedding will undoubtedly be a huge celebration, with those closest to the power couple getting special gifts along the way. The two will reportedly exchange their wedding vows in a Christian ceremony on Sunday at the Umaid Bhawan Palace which will then be followed by a Hindu ceremony in the later part of the day.